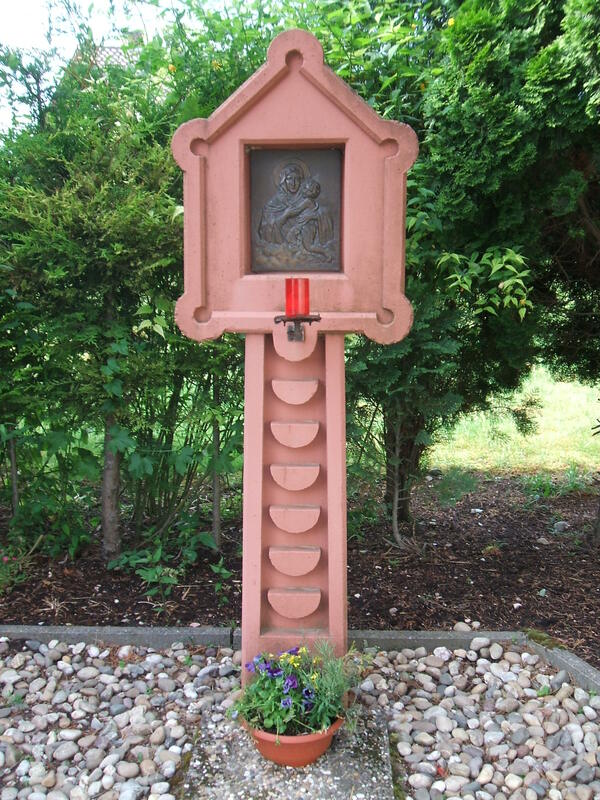 Large and small wayside shrines: nailed in mountain areas, forests and valleys, towns and cities, and roadsides. 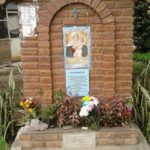 The Mother Thrice Admirable’s wayside shrines sown by the Schoenstatt Rosary Campaign are raised braving bad weather: wind, snow, heat, and cold in different places around the world. 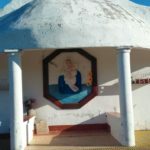 The popular creativity of missionaries from different nations where these shrines are found displays enormous diversity. However there is something that they all have in common, something that unites them. It is the immense love borne of a Mother’s restless heart that wants to be close to her children because she knows they need her. A Mother on her way that awakens the desire of generous men and women to give her shelter in their hearts, to ally themselves with her and to build a Wayside Shrine for her in their land. They want her to establish herself in their areas, to accept the prayers and sacrifices they offer her so that they will shower her graces and blessings from there for the wellbeing of their brothers/sisters. 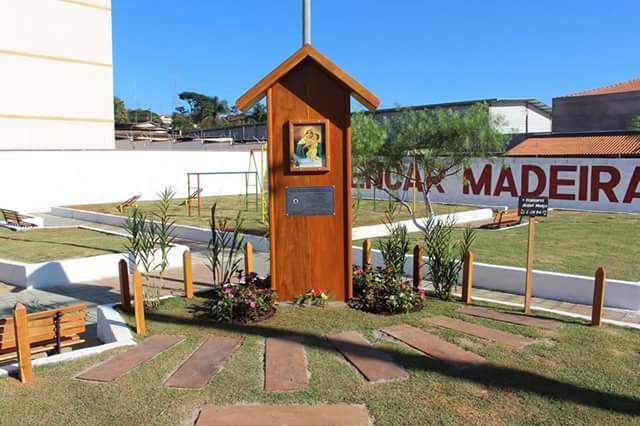 Thus giving life to the “Nothing without You, Mother, nothing without us”, untiring, in the footsteps of Joao Pozzobon, they get to work. 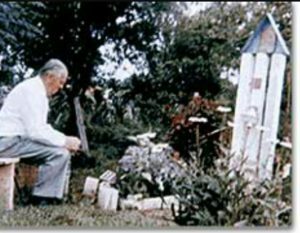 The beautiful stories behind the construction of each wayside shrine, speaks of the unconditional giving of self of so many Campaign missionaries who do not become discouraged by the many inconveniences and obstacles that always occur. 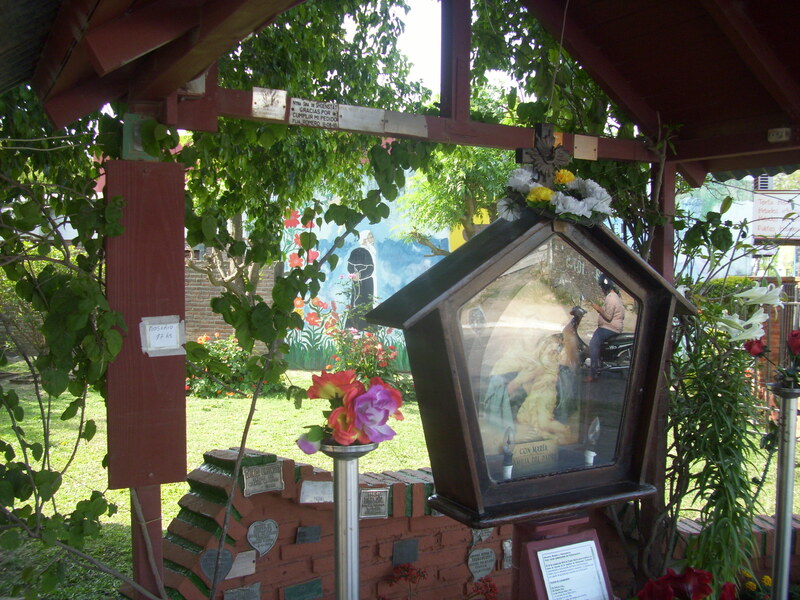 It is not easy to obtain the land, to get endorsement from the authorities or to actually build the Wayside Shrine. But nothing stops them. 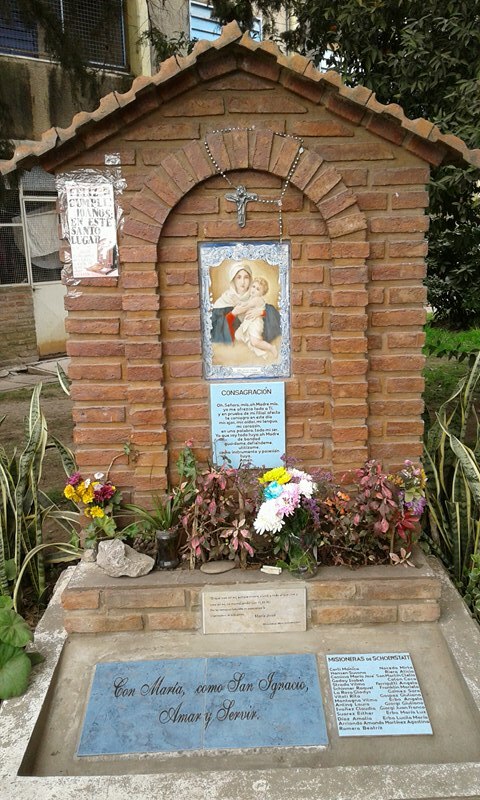 Thousands of rosaries and contributions of sacrifices to the capital of grace sustain the initiative and open the roads until arriving at the long-awaited day when the Mother Thrice Admirable takes possession of this little place in the world, and she begins to shower her graces and blessings from there. 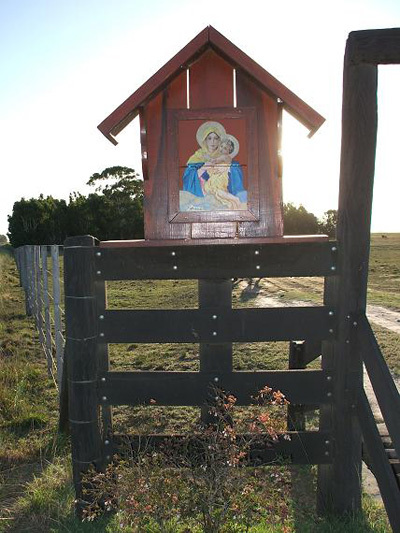 From this moment, Wayside Shrines are transformed into original extensions of the Shrine, places of encounter, where bonds are woven, and the (Blessed) Mother unites with her children giving them an experience of belonging, creating a family atmosphere. 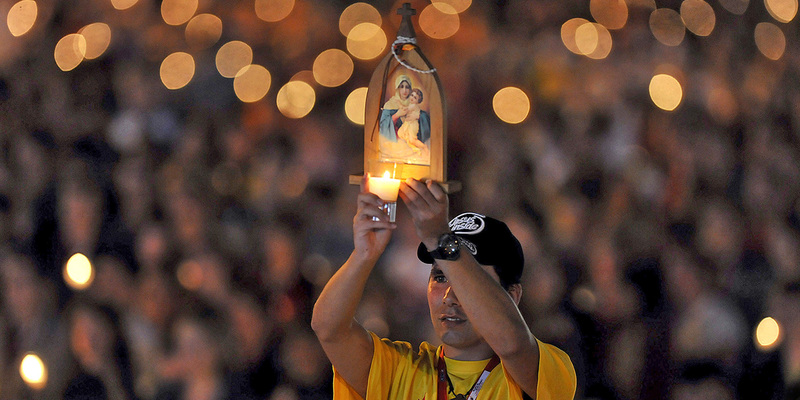 There the Campaign missionaries gather in a special way on the 18th of every month to pray the rosary, consecrate themselves to the Blessed Mother, pray 1,000 Hail Marys, seal their Covenants of Love, and renew their giving of self to resume their mission with new strength. 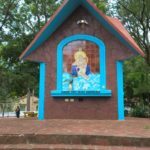 Allí, los misioneros de la Campaña se reúnen de manera especial los días 18 de cada mes para rezar el Rosario, consagrarse a la Virgen, rezar las Mil Avemarías, sellar su Alianza de Amor y renovar su entrega para reemprender con nuevas fuerzas su misión. 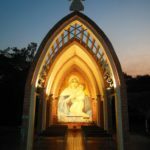 Through the Campaign, the Pilgrim Mother, traveling the world, wants to come and be with families, teaching them to pray and live the mysteries of the rosary in covenant with her, and to establish herself in hundreds of thousands of home shrines. However that is not enough for her; she also wants to make herself present in public life: sharing in the lives of people, remaining on streets and roads in those little pieces of heaven where she wants to be close to all her children, getting close to the neediest ones, sharing in their sorrows and joys, and inviting everyone to become her allies that will help in her mission of transforming the world. They are very simple, a bronze image of the Mother and Queen supported on a wooden post that is sunk in the ground. 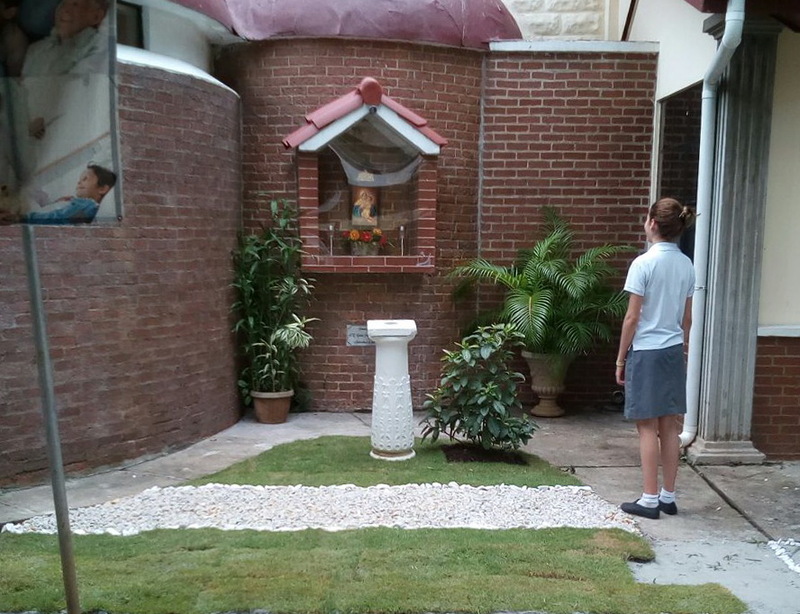 They are blessed in the Shrine, and then there is a second blessing with the people in the site where they are placed. 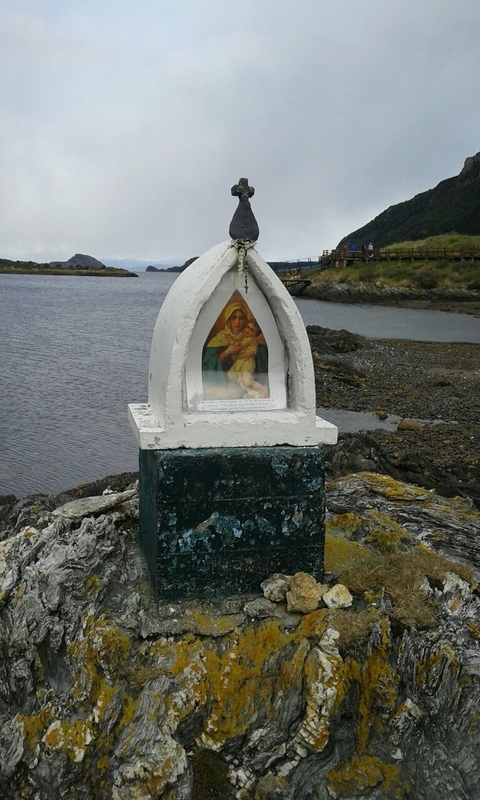 Joao highly recommended that they gather close to the Wayside Shrine on the 18th of each month to pray the rosary as a symbol of unity with the Shrine, enabling the current of graces that flow from the Shrine to reach the most remote places. 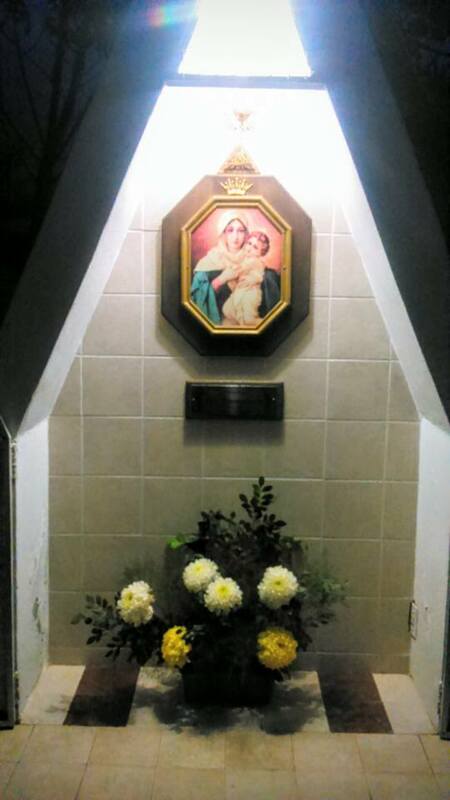 From this website, we want to gather photos and testimonies of life that bubbles up in so many places of where the Campaign spreads and where Wayside Shrines are emerging as the Blessed Mother passes. 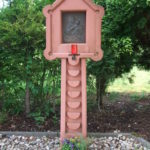 In Joao’s footsteps, united to all the Campaign missionaries and families, we want to place ourselves at the service of this wonderful current of life that the Blessed Mother has given us in Schoenstatt, and which the Father and Founder valued so much. 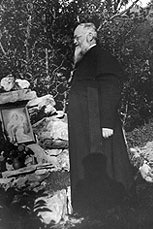 In October 1946, he did not hesitate to abandon the Annual Gathering of the Movement to go to bless a small wayside shrine of the Blessed Mother in Switzerland and to crown the Mother Thrice Admirable as Queen of the world, in a place that appeared to be of little significance. Yes! We want to help our Mother and Queen in that mission. To help her travel the towns and to establish herself among us, to renew the world. We want to make the Father and Founder’s desires our own. 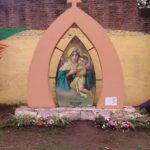 We want to unite with the missionaries and families of the Campaign to encourage this wonderful life current of Wayside Shrines that the Blessed Mother wants to sow in the world. But…how can we do it? 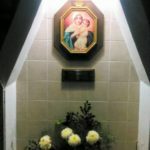 We may ask ourselves: What would happen if a strong missionary current of prayer and sanctification is elevated to heaven from every Wayside Shrine, offered to the source of graces of the Shrine, to help the Blessed Mother to establish herself in thousands of new wayside shrines in all the corners of the earth? What would happen if, through the self-giving of the missionaries and their capital of grace, every wayside shrine assumed this mission of transforming itself into a fruitful seed to enkindle the world with the fire of the Covenant of Love that sprouts from those tiny pieces of heaven where the Mother Thrice Admirable wants to manifest herself as Queen of the people, as Queen of the world? 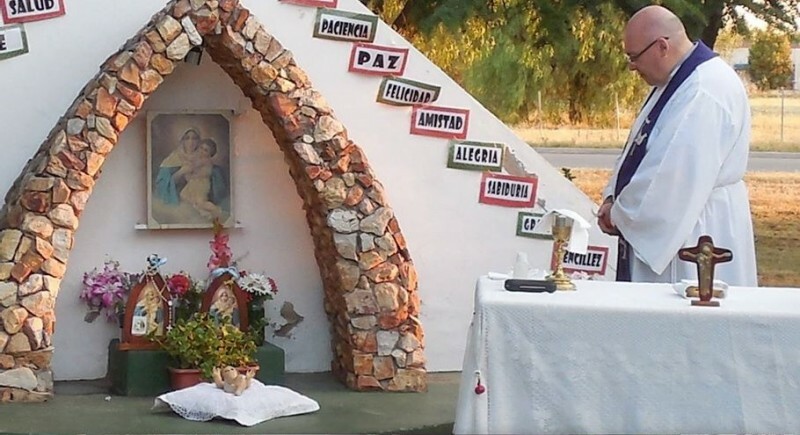 We continue to enthusiastically invite everyone who follows us to send photos of their Wayside Shrines to schoenstatt.org. 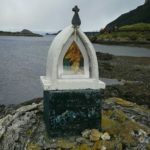 The mission of these photos is to awaken the desire in others to build new Wayside Shrines in their places. They will be used to make a digital replica of the Pilgrim Mother that Joao carried on his shoulder traveling 140,000 kilometers with her. 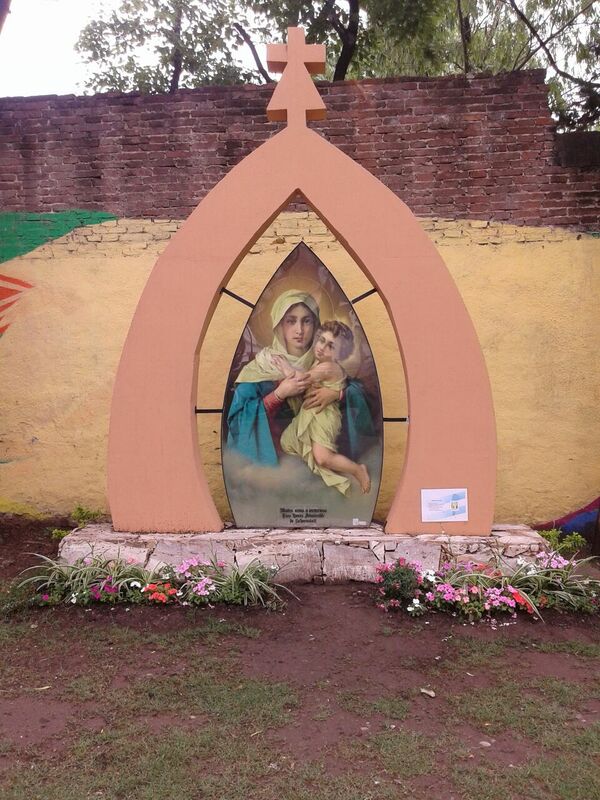 This replica will be displayed in the Joao Pozzobon Hall in Belmonte, Rome that will be visited by pilgrims from allover the world. It will be an expression and testimony of the Mother Thrice Admirable’s living presence that has wanted to be established in so many corners of the world and on five continents. 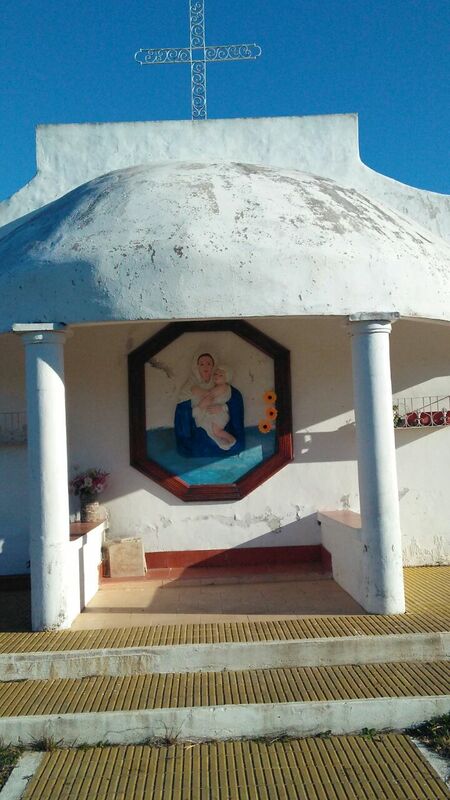 Thus, every country will be represented by their wayside shrines in this place in Rome, where pilgrims and missionaries from everywhere can make contact with the person of Joao Pozzobon, his life and his work. 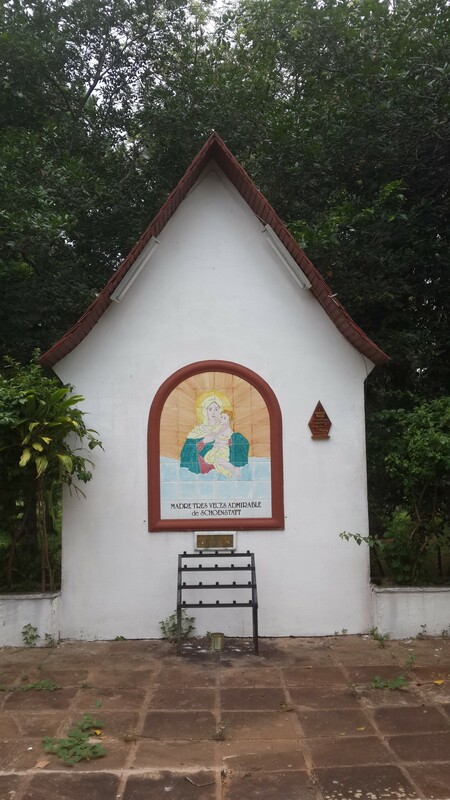 It is so beautiful that all the Campaign missionaries from different places and countries can work together encouraging each other to send photos of their Wayside Shrines, which as of now, for practical reasons, we will gather on the schoenstatt.org website. Only send the photo of your wayside one time. 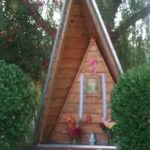 Album of all the wayside shrines sent as of now. 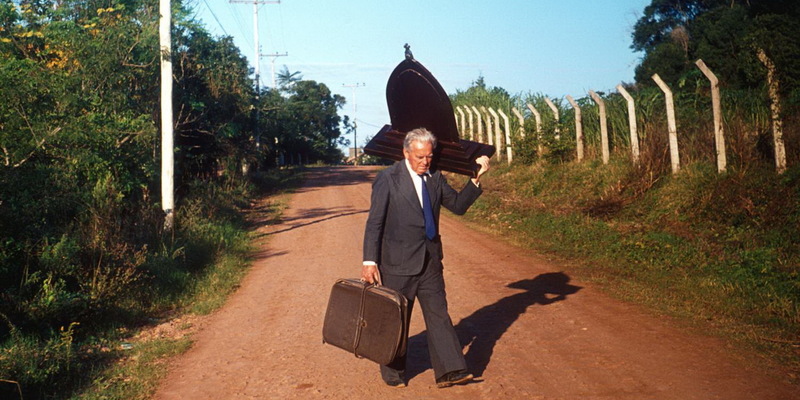 A “schoenstatter reaching out”, a saint of the new evangelization, in solidarity with the poor, moved by one goal: to carry the Blessed Mother and her Son Jesus Christ to those who most need them. 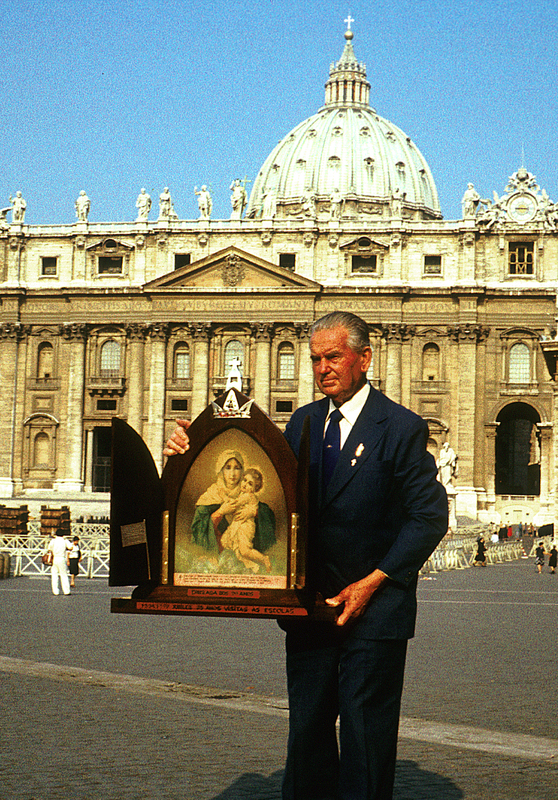 That is João L. Pozzobon, initiator of the Schoenstatt Pilgrim Mother Campaign. 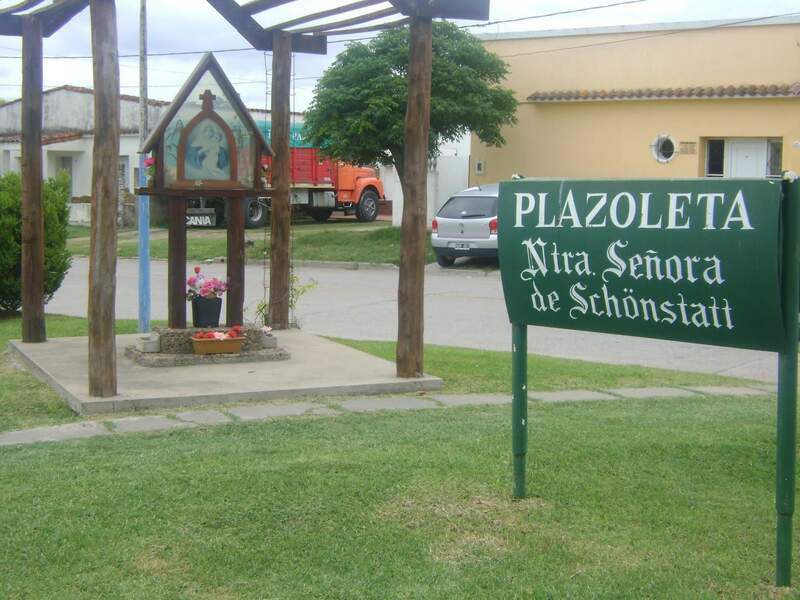 More than 800 Schoenstatt wayside shrines only in Argentina are an expression of Schoenstatt’s pastoral of attachment to a place of grace. Most of them came from the Schoenstatt Rosary Campaign as fruits of the initiative of a single missionary or groups of missionaries. 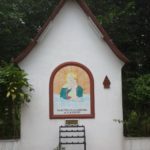 The longing for the Shrine, the longing for the experience of Mary’s presence and closeness from the Schoenstatt Shrine, is the root of all these wayside shrines. Another reason is that those who belong to the Campaign want to feel as a family and want to get together as a family around the wayside shrines, to get to know each other, to build up relationships and to share the joys and pains of lives. The Campaign is present in many places in the interior of the country, hundreds of miles distant from the next shrine. The economic situation of the people makes it impossible for them to get into contact with the place of grace. 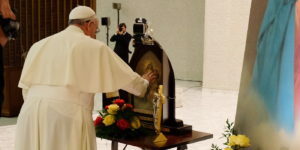 Out of this need, the longing of the missionaries of the Pilgrim Mother is strong to make “her own piece of land” a gift to the “Mater,” as the people love to call the Mother Thrice Admirable of Schoenstatt, the Mater Ter Admirabilis. She should have her own piece of land where they can come and give themselves personally to her, where they bring her flowers and contributions to the Capital of Grace, petitions and thanks. In gratitude, and aware of the meaning of this gift, they care for the beauty and order of these places. 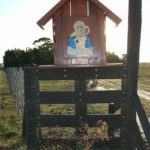 Another reason for the erection of wayside shrines is that those who belong to the Campaign want to feel as a family and want to get together as a family around the wayside shrines, to get to know each other, to build up relationships and to share the joys and pains of their lives. It’s impressive to see how attachments grow and deepen through the visits by the wayside shrines. Many people come each day. 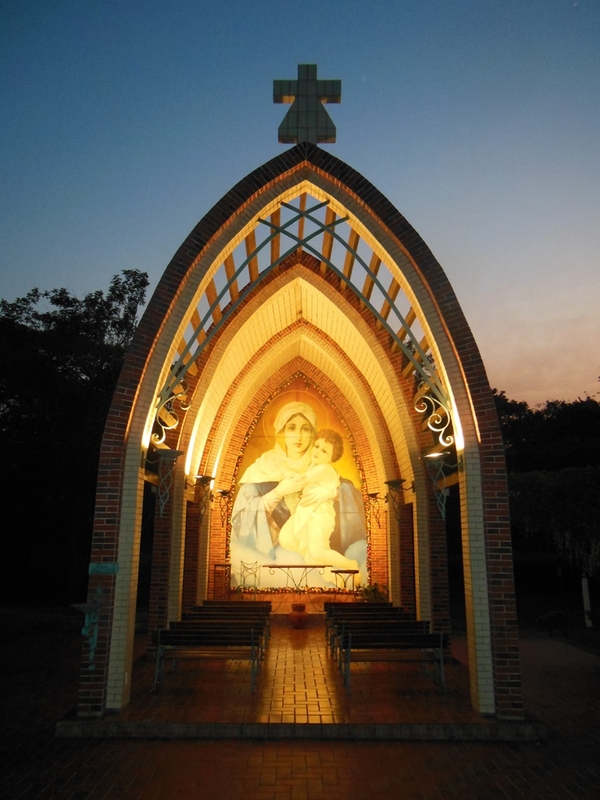 All of them, however, usually come on the 18th of each month, Schoenstatt’s Covenant Day, to pray the rosary and the “Thousand Hail Mary’s,” to receive the Pilgrim Mother images that will travel among the families (blessed in a Shrine before), and from time to time celebrate Holy Mass together. 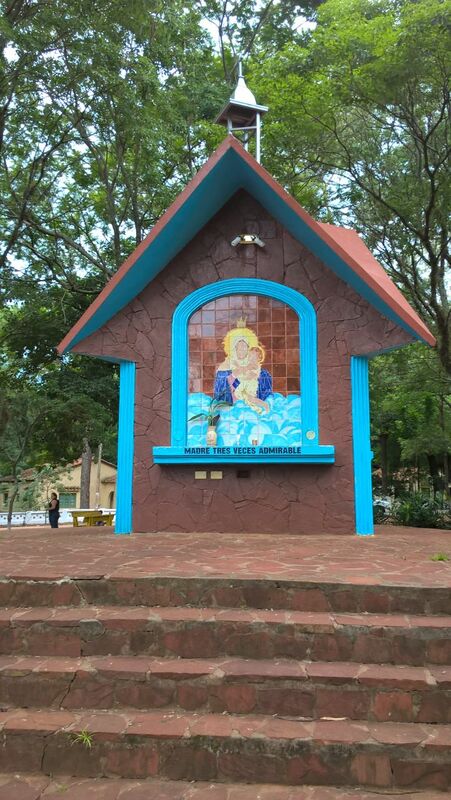 Often the missionaries perceive some signs that the Mater wants them to build her a wayside shrine. They are small manifestations but very clear. 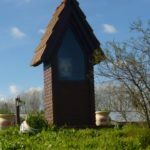 The unexpected donation of land, the parish priest’s request or that of people, up to the Mater “landing” on a piece of property from the sky (after a speedy trip with gas-filled balloons) … when at another place people out of sheer joy have sent a styrofoam wayside shrine to the skies! Reading the books that accompany the Pilgrim Mother pictures often means an impressive revelation of the sincere striving and generosity, not of just a few persons but of many. We have moving testimonies of the commitment and sacrifices offered and given by various people. 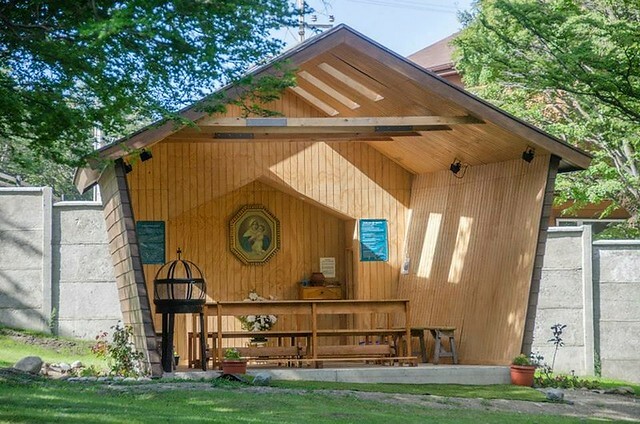 Next to the Capital of Grace, people offer other gifts – money, construction material, free work on the building, planning and designing of the wayside shrine. The creativity is impressive. 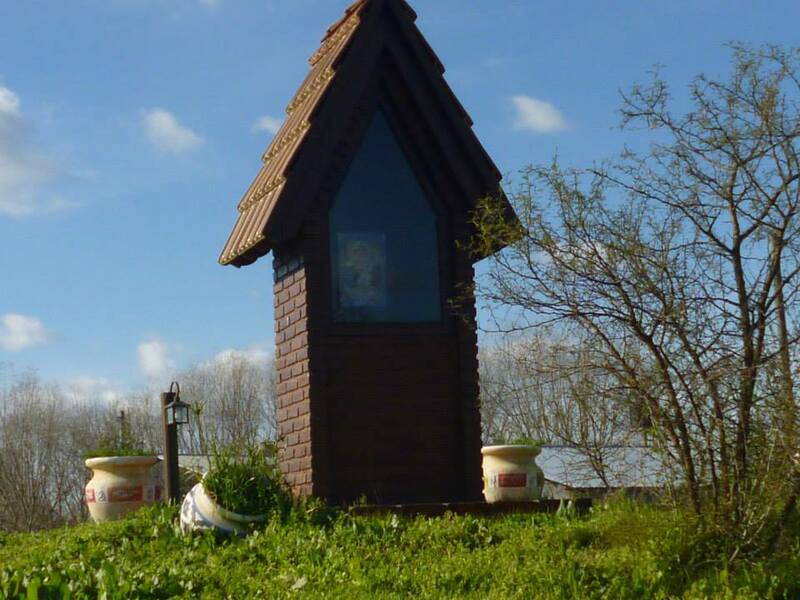 Up to this time, we have not seen two identical wayside shrines. Each one of them is a manifestation of a specific place, where the customs, traditions, climate, culture, and religiosity characteristic of their people are expressed. 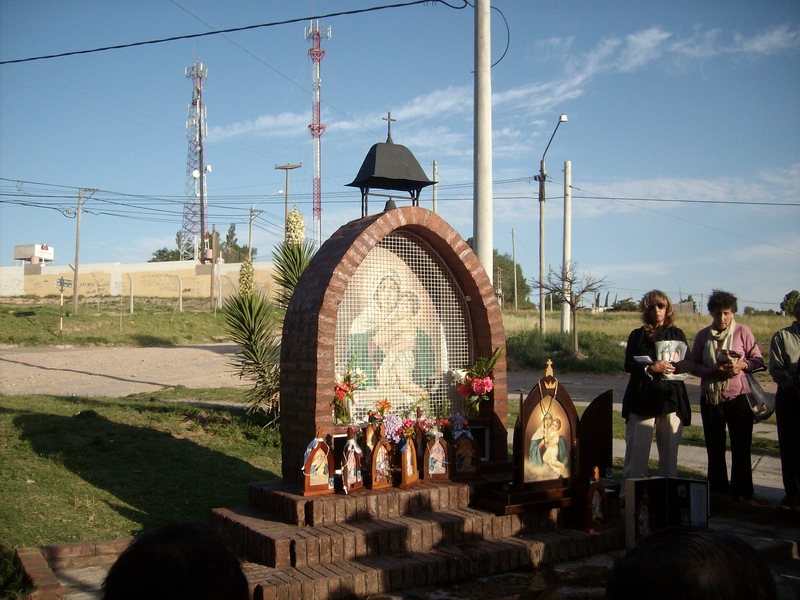 The wayside shrines of the MTA spread throughout the whole country, in all the dioceses of Argentina. In the cities and in the fields, in luxurious neighborhoods and in miserable villages, next to highways and dirt paths, in mountains, valleys and beside the sea, in big centers and in remote towns, the Mater is with their children, giving them her love as Mother, Queen and Educator. 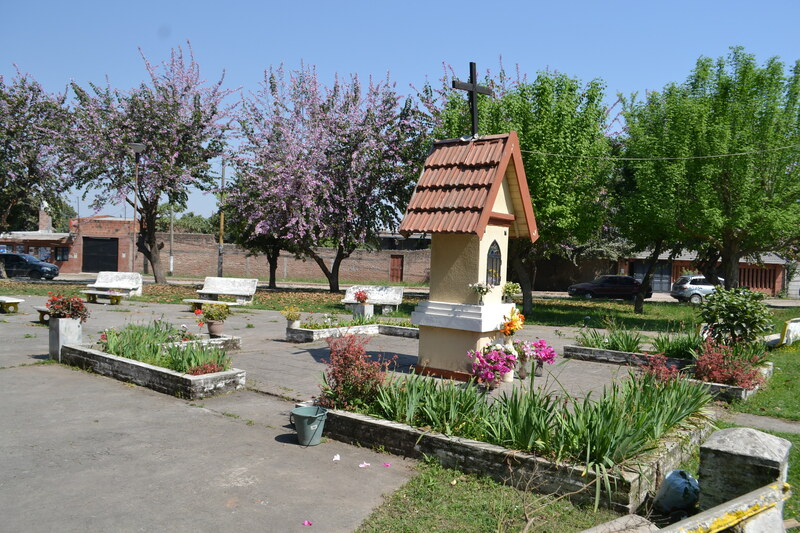 The “Orientation for the pastoral of wayside shrines,” elaborated by the Central and the National Team of the Campaign, is an answer to the life inspired by the experience of the missionaries. 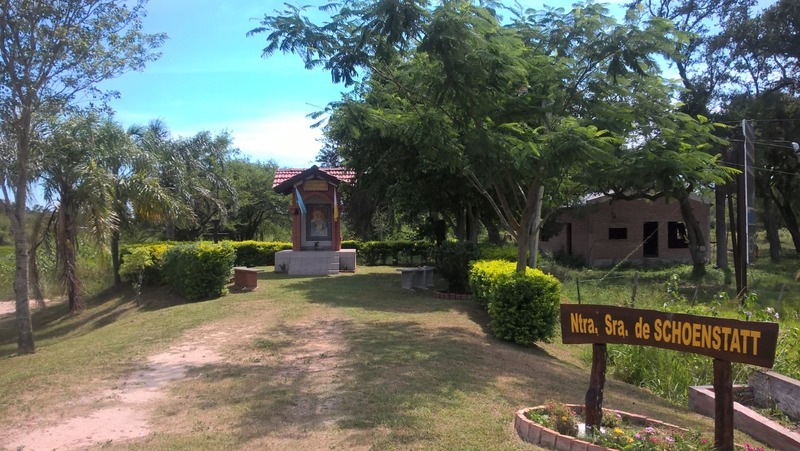 These experiences are the most valuable contributions to this work, not inspired by a concern about the wayside shrines but to secure for the future the original spirit that created these wayside shrines at a time when we experience an expansion of wayside shrines in our country. Almost each day we get the information about a new one that was erected! 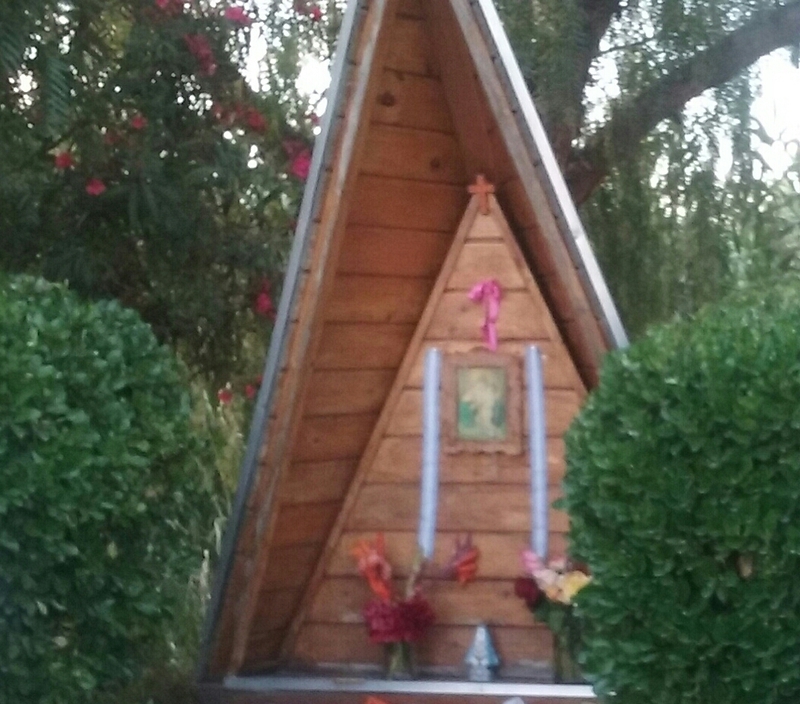 It was the urgent wish to guarantee the charisma of Schoenstatt, the attachment to the MTA, to Father Kentenich and the Shrine, that created these guidelines for the wayside shrines as a “widening” of the Shrine, born from the longing to be attached to it.